There is no better sight in the world than seeing happy children in a school. For them to stay happy, they have to stay safe too! According to NCERT statistics, about 23 crore children study in more than 13 lakh schools in the country. Seam provides a complete solution for security consultancy, risk management and loss prevention by Identifying, assessing, conceptualizing, designing and implementing security solutions, Threat assessment, risk analysis and recommendations for up gradation of security measures at the facility, Independent security audits of complexes and recommendations, Provision of trained and responsive security personnel. Implementation of CPTED ( Crime Prevention through Environmental Design principles. In all schools, staff and pupils need to be able to teach and learn in a safe and secure environment. The present publication includes advice on the management of security and the related on the roles of school administrators and teachers. It focuses on the security of school premises which is clearly an important part of ensuring the personal safety of staff, pupils and visitors. To begin, let us understand why security should be a prominent topic of discussion, in all schools. Schools that fail to keep students safe while they are in their care are at risk, legally and financially. Liability may even apply in cases where students are no longer on school property or are attending extracurricular activities. Adequate and effective school security is a vital component in giving students the opportunities they have come to expect from schools, such as access to afterschool activities and sporting events. Teachers who fear for their physical safety can't concentrate on teaching, nor do they want to teach in such environments. Students then lack the qualified teachers needed for them to succeed academically. More importantly, students present less risk of violent behaviour when they have a positive connection with a supportive adult. School security is important as it relates to students and their ability to concentrate and learn. Learning requires a positive atmosphere in which students feel not just physically safe, but emotionally safe as well. Creating such an environment means ensuring student safety throughout the school timings and keeping experiences free from both physical violence and social or emotional bullying. A proper security risk assessment must be followed up by a safety and security plan that lays out the detailed plan to mitigate the risks. In a school scenario, there will typically be budget constraints and limited funds to use for security enhancements. However, it is imperative to define a vision for safety and security and a methodology to achieve that vision. The best way to create a safe school environment for everyone involves using school security measures to create what is known as a safe school plan. This plan details various goals such as reducing bullying, eliminating crime, and tackling. Discipline problems within the school, all of which leads to increased levels of violence. It sets forth steps to create a healthy and positive school environment, with reaffirming, emotionally stable adult supervision. Open Communication is necessary between individuals at all levels, from students and parents to teachers and government officials. Working with security guards or the local police should be seriously considered as a part of any safe school plan. A SAFE SCHOOL PLAN WILL CONTAIN: WHY? Work out a solution - what are the countermeasures? How do we propose to deploy the counter measures? Define timelines. Deliberate whether a phased approach is necessary. Arrive at budgets. Explore funding avenues. The Safe School Plan must include the approach towards Emergency Management that addresses the four components of preparedness, prevention, response and recovery. It is also necessary that schools verify the antecedents of school staff and establish formal processes to achieve the same. Security Cameras (or Video Surveillance Systems), commonly known as CCTVs, have already become an indispensable tool for situational awareness. It is the most visible element in the entire security apparatus, and hence can be used as a strong deterrent against crime. Particularly for schools and educational campuses, security cameras can provide a quick relief from frequent incidences of crime such as bullying, petty thefts, graffiti and so on. Properly placed cameras can also deter sexual crimes against children in schools - several cases of which have come to light in the past few years. Schools - in fact, all educational institutes - have to necessarily balance between the need for openness on the one hand and ensuring that the campus is free from intruders. Although schools cannot be converted into prisons, there must be a system to verify entry into the campus. 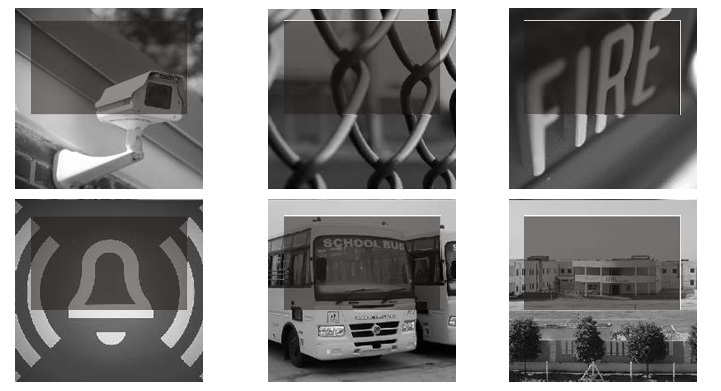 A properly designed fence combined with strong access control will prevent the entry of unwanted elements and provide a feeling of safety to the students and staff. 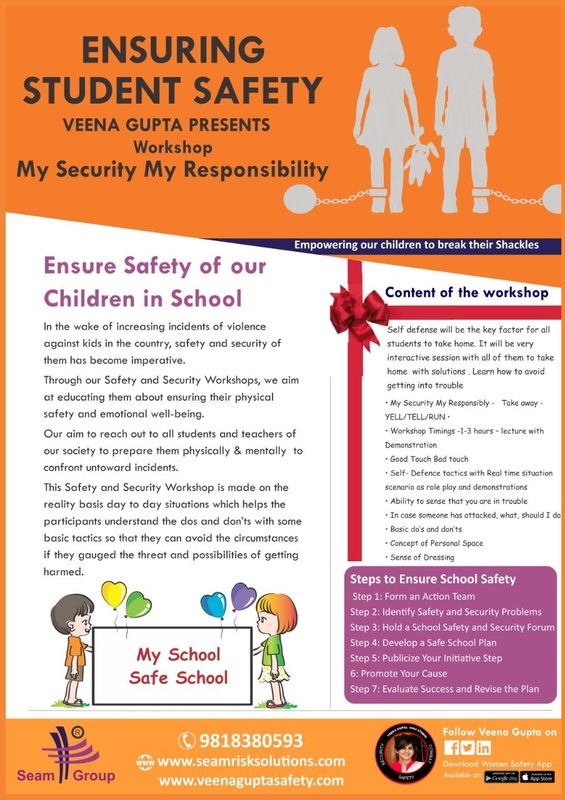 Safety and security of students in the school bus is the responsibility of school management. In a sense, even though school buses may sub-contracted, they are “school property” and schools have to install systems and adopt procedures to ensure that students reach school, and return home, safely. No less than the Hon’ble Supreme Court has provided detailed guidelines on safety on the school bus. In the modern day, there are technological tools available to ensure that these guidelines are followed and if not, authorities are appropriately alerted. Educational institutions have come into radar due to recent assaults on little children and it has become a priority for them to make sure that they offer safe transport to their students. With GPS based monitoring systems, educational institutions and their transport coordinator can conveniently monitor the fleet of school buses and know the exact location of each through a single map and dashboard. Alerts can be sent or access to real-time GPS map can be provided to the parents so that they can check the location of the transport vehicle at any time. Some schools are already using a GPS tracking device on their school buses through which the parents will also receive text messages every time the child embarks or disembarks the bus. Cameras on buses, attached to rugged mobile DVRs should be installed to provide deterrence capability. These are especially useful to ensure that bus operators behave properly with the children on board. Selecting the right partners - consultants and system integrators is often the most important decision to make while installing security systems. The quality of the security technology consultants and system integrators schools use will have a direct bearing on how well they (the school) master this complex subject.